It’s official – Ben Higgins is the next Bachelor! Bachelor Nation was heartbroken when fan-favorite Ben H, the charming software salesman, was sent home by Kaitlyn Bristowe on The Bachelorette. Ben saw a “great life” with Kaitlyn, only to have it disappear before him when he was left without a rose. It wasn’t easy for Ben to open himself up to love on The Bachelorette because he’s been hurt in past relationships. However, now knowing he is capable of being in love and being loved, he is ready to put the heartbreak behind him as he searches for his one true love when he stars in the milestone 20th season of ABC’s hit romance reality series, The Bachelor, returning to ABC in January 2016. Ben's final moments on The Bachelorette. Kaitlyn sends him home heartbroken. 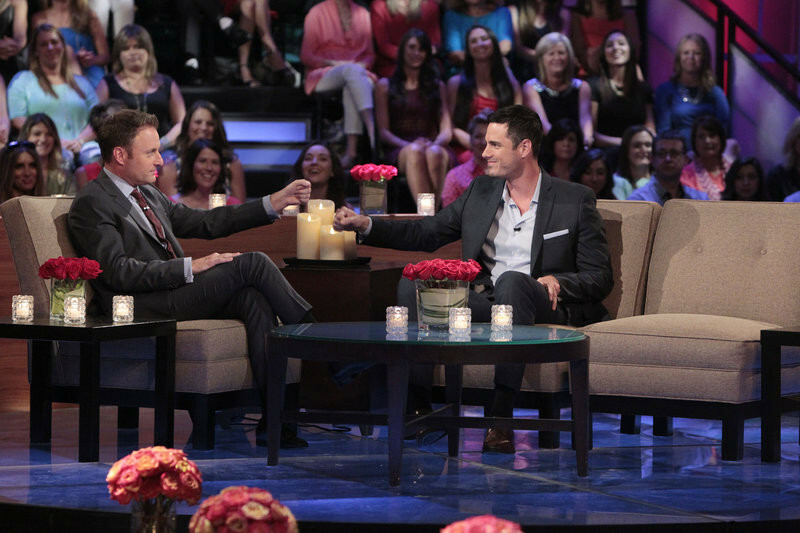 Chris Harrison (pictured above with Ben) announced the big news live on Bachelor in Paradise: After Paradise. Season 20 of The Bachelor returns January 2016!